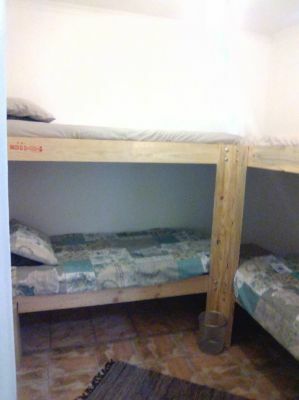 Our dorm can accomodate up to 4 people and is ideal for larger families or small tour groups or the more traditional "per bed" reservation. The beds have been custom build ensure more space, comfort and stability. R150.00 per person sharing per night. 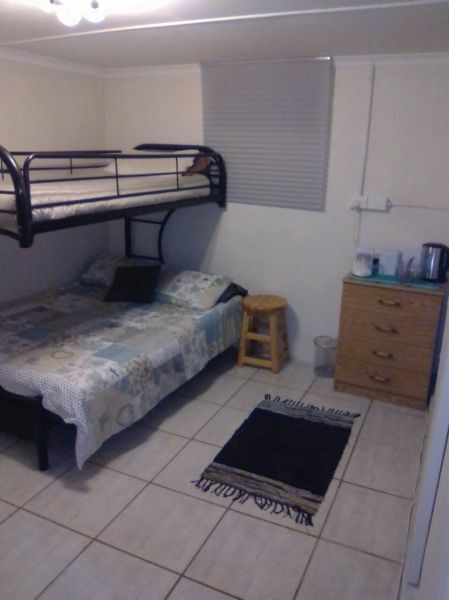 R 250.00 if booked as a private single room. Inyathi has a double bed with single bunker. It boasts an en-suite bathroom, fridge, coffee/tea nook, microwave and private barbeque/ garden area. It is perfect for young families, couples and and small groups.